SCE lineman Jacob Lybbert (left) and Wil Robinson practice for the International Lineman's Rodeo. 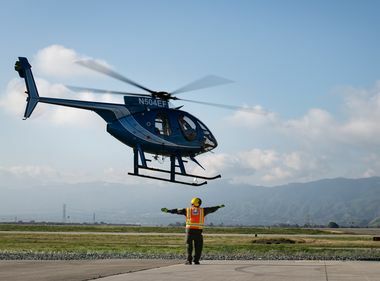 SCE apprentice Alex Cortez practices the Hurtman Rescue. SCE crews will compete in the upcoming International Lineman's Rodeo in Kansas. SCE apprentice Brandon Gloria practices the Hurtman Rescue. The team of Ramon Garcia, Jacob Lybbert and Wil Robinson placed first overall last year in Kansas and aims to repeat. CHINO, Calif. — It’s October and time for a repeat. 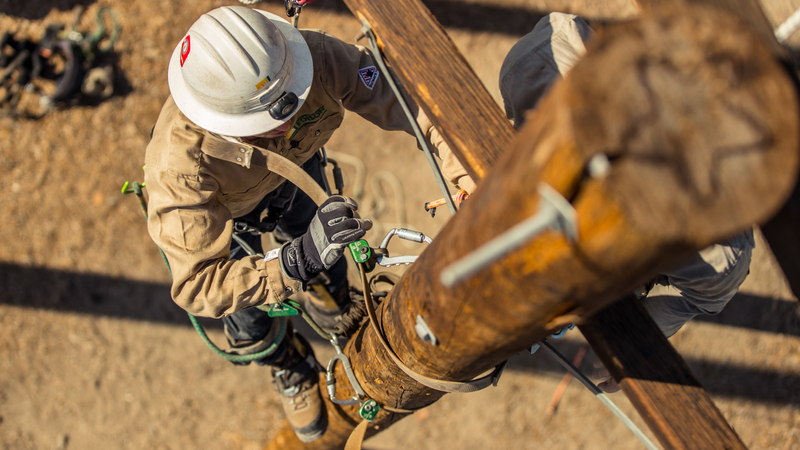 We’re not talking baseball, but the 34th annual International Lineman’s Rodeo in Kansas where more than 400 linemen and apprentice teams from around the world come to compete and showcase their skills. 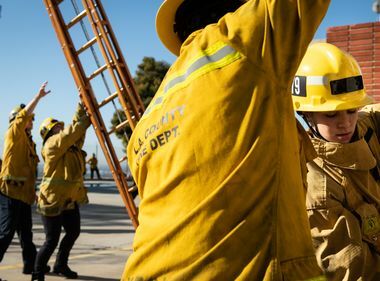 And the team of Ramon Garcia, Jacob Lybbert and Wil Robinson — Southern California Edison journeymen — will compete this Saturday to defend their first-place finish last year in both the Journeyman Team Overall IOU Division and the Journeyman Team Overall category. “We want to be the first overall team to repeat,” said Lybbert, a lineman out of the Covina District, who has worked for SCE for 14 years. At a recent practice for the competition, the trio went through their safety measures before running various drills. The rodeo will have the usual Hurtman Rescue and Pole Climb events, but there will also be two mystery events. In January, Robinson tore a tendon in his right shoulder and underwent surgery. He was out for several months, so finding the time to practice with the team has been tough leading up to the international event. “I feel good. I’m not a 100 percent, but I’m ready to run,” he said. The first International Lineman’s Rodeo took place in September 1984 with only 12 teams competing. This year, the rodeo will have more than 200 teams and 250 apprentices. This will be SCE apprentice Brandon Gloria’s first International Lineman’s Rodeo. He placed first in the Hurtman Rescue events at the PG&E and SDG&E rodeos earlier this year so he is hopeful of his chances in Kansas. SCE apprentice Alex Cortez, 25, placed 53rd overall out of 300 apprentices at last year’s international event and hopes to do even better this year. “Hopefully, I can take home some hardware,” he said. 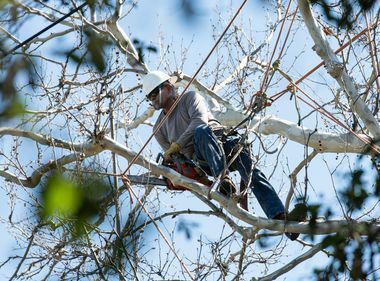 For more information about SCE lineman jobs: edison.com/careers.